My Image Magazine traditionally only releases two issues per year, but they’ve recently expanded to include a special summer and special autumn issue (which you can purchase here) that aren’t included as part of the regular subscription. This is a look at the tunic pattern that I really think looks like a sweatshirt dress. It looks super cozy. Probably not the most versatile piece in a wardrobe, but possibly the most comfortable. The faux wrap dress (left) is super pretty in the fall florals. I’m not as excited by the rather basic sheath with sleeve ruffles, and the top is again sporting a wide sleeve to follow that trend. The pants aren’t overly exciting, but the looks like a decent option if you want a closer fitting pant. Ok, I know that one of the sweater tunic/dresses has pockets and a hood and the other doesn’t, but, really, they are basically the same pattern. I can’t say I see anything overly exciting in the workout style tops or pants either. It’s fine, just not exciting. Another perspective of the workout gear and sweater dress. I do like the top on the far right though. It’s simple, but it looks like it could pair well with a variety of bottoms. Anoteher view of the faux wrap dress – probably my favorite style from this issue. This maxi sweater dress is a PDF download pattern only, but you can get a free version with a code from the magazine. And that’s it! I have to admit that isn’t really exciting me enough to jump up and order the special issue of the magazine. There isn’t really anything here that I feel I don’t already have either in a different issue of My Image, or from Burda, or another Big 4 pattern brand. My Image does produce a lot of what I would consider to be very wearable designs. They aren’t chasing runway trends, so there isn’t a ton of especially innovative design details, but you often get a magazine full of very wearable styles. Unlike the summer special issue, though, I don’t feel that the styles presented here could be used to create a full fall capsule wardrobe. There certainly aren’t any layering pieces, and the styles included feel a bit repetitive in and of themselves. I still really like the My Image issues I have, but I don’t think I need to add this one to the collection. What do you all think? Is this your idea of fall fashion? Or are you looking for more spectacular designs this fall? Feel free to discuss in the comments! I actually like this issue, but as you say there’s nothing here that can’t be found elsewhere. I think I have patterns just like these from the Big4. Although, this might be a great magazine for those not in the US that don’t have easy access to the Big4. I love the sweatshirt dress. Agreed! 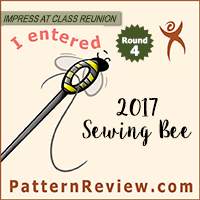 This is a great value if you don’t already have a bunch of basic patterns in the stash. But for those who have overflowing stashes I don’t think this is a necessary addition. The cowl neck sweater maxi is lovely. 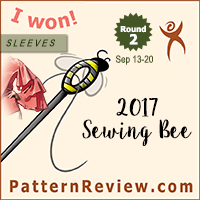 Other styles are not anything that I already have in my pattern stash. Thank you for sharing! I agree, lots of nice basics but if you have a few years of Burda there’s nothing new here. I’d have snapped this up when I started sewing. I found that the pattern I tried from a My Image issue from a year or so ago had a very long/large armscye as drafted for the size I chose. The patterns are nice basics in this issue. That’s fair. There are some easy Burda pants though. The November issues has some pull on culottes that don’t have any tricky closures. If I were lucky enough to be able to wear pull-on pants without looking like I was wearing exercise clothing or pajamas I believe it is possible to build an entire wardrobe, including exercise and sleepwear, from burda 1 and 1,5 patterns. Did not look at the burda-easy magazines but that would add to the possibilities. I do like that both My Image and Ottobre have inclusive sizing, and Ottobre even show this in their model photos. Living in Europe envelope patterns are a rarity if I´m not buying vintage so magazines or indie patterns are the way to go. And I really dislike taping PDF-patterns. Same – the new PDF Plotter service everyone has been raving about makes PDFs less of an issue, but I am also not into taping PDFs. I think Burda Easy does have a lot of great options for wardrobe building, but it’s no longer produced in as many languages so the “easy” part of having more detailed instructions isn’t quite as much of a feature. Agree with others that, if you have limited access to other things, there are some really great fall basics here. Love the sweatshirt dress and the cowl maxi.